I'm still running some tests on the Gotham OpenGL build for Windows that I compiled. It works really well for half SBS in interlaced mode. No drop/skip frames at the time of taking the screenshot. So, the Windows OpenGL build works really well for half SBS in interlaced mode. But, as expected, it doesn't work well for full SBS: stuttering and lots of drop/skip frames. Please, how to install and where the "xbmc_3d_subtitles_frodo.patch". there is no way to just "install" it - you have to apply it to the XBMC source code and compile XBMC from source. If you don't know how to do (which I assume by your question) check the wiki for a basic how to or wait for somebody to do it for you. Or just use Gotham beta - why bother with Frodo? 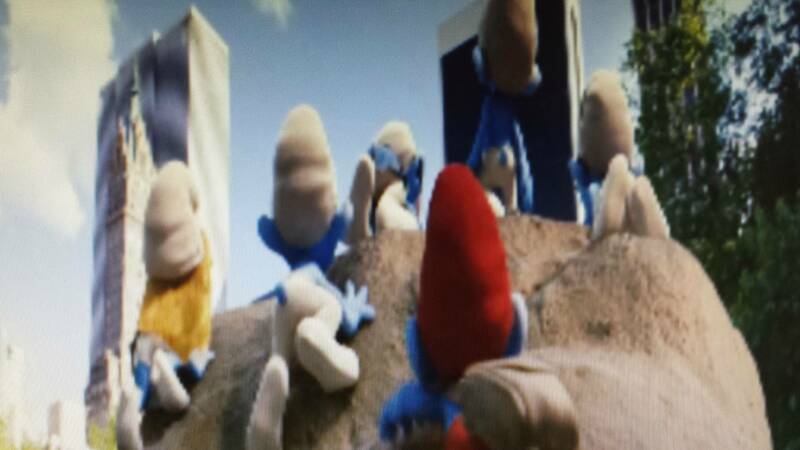 (2014-03-15, 23:50)nickr Wrote: Have you calibrated video inside xbmc - that will screw up 3d. Attached are 3 screenshots that illustrate. 1. First is the SBS view of a 3d tagged source. 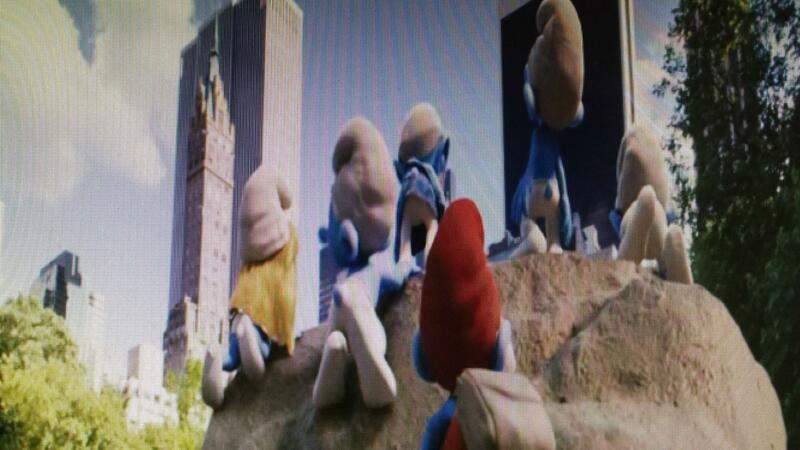 See the extreme jaggedness of the smurfs feet. This is what i get on every 3d movie. I will see if I can install windows on the machine and see i its the same. I have the same issue on my ION-Based PC with Ubuntu on it. Turning "Prefer VDPAU Video Mixer" helps somehow but i ask myself too why XBMC is processing the video when outputing it to the same format. I have XBMC (Gotham beta 4) on a Windows PC and OpenElec (Gotham beta 4) on an Intel NUC (Haswell i3 latest generation). All video playback is perfect on both, except for Half SBS. The best way of describing the issue is that every minute or so, it jumps/skips a tiny bit of video perhaps a couple/few frames. I can replicate it on both my PC and HTPC by watching a scene where it always happens. Occurs in 3D and 2D mode. What's weird is that if I play the same scene using Windows Media Player, it's perfect - no jumping/skipping. I have tried nearly every combination of settings possible. Nothing fixes it. Any suggestions would be seriously very much appreciated. For me it makes 3D not watchable. is it one particular movie or does it happen for all SBS movies? At least from your description it sounds like AV clocks are running out of sync and you should enable AV syncing in video playback settings. (2014-04-27, 19:07)da-anda Wrote: is it one particular movie or does it happen for all SBS movies? At least from your description it sounds like AV clocks are running out of sync and you should enable AV syncing in video playback settings. Is there a way xbmc automatically uses 24hz for 2d movies and 60hz for sbs movies? (2014-04-30, 21:40)Skank Wrote: I got this "issue". 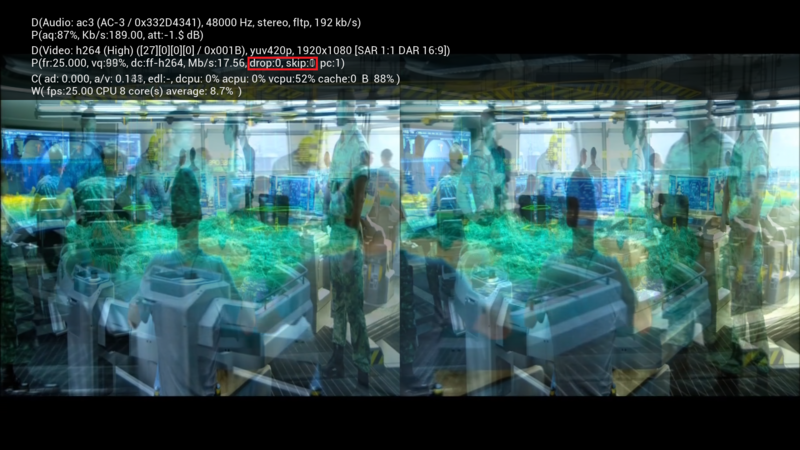 How in XBMC do you make a 24hz SBS file play at 60hz? Probably set refresh rate to display. After Gotam release I will create a thread at this forum. (2014-01-27, 08:59)afedchin Wrote: Your display connected to GeForce? right? Connect it to HDMI port at motherboard. So I can't have the display through the graphics card, just the integrated graphics? Yes, Intel InTru 3D can be used only if display connected to the integrated graphics. The version I've posted above support Nvidia also, but you need enable sterescopic into NVidia Control Panel. Having problems with FSBS. 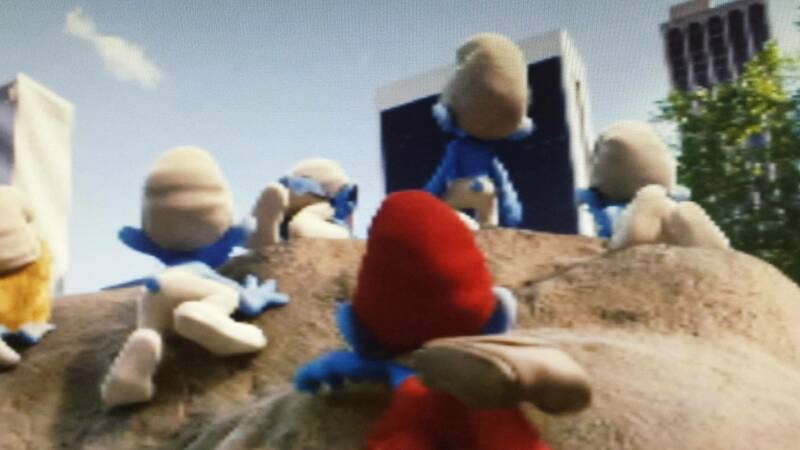 I use DVDFab to rip the 3d blurays to FSBS but the aspect ratio always turns out wrong. 16:9 videos are being converted to something like 1.43:1. I can remux the videos back to 16:9, not a big deal. But I figure I must have something set wrong in DVDFab that I need to fix. I know this isn't DVDFab tech support but figured there's probably lots of people here using the software. Just a shot in the dark. (2014-05-12, 19:10)wgstarks Wrote: Having problems with FSBS. I use DVDFab to rip the 3d blurays to FSBS but the aspect ratio always turns out wrong. 16:9 videos are being converted to something like 1.43:1. I can remux the videos back to 16:9, not a big deal. But I figure I must have something set wrong in DVDFab that I need to fix. I know this isn't DVDFab tech support but figured there's probably lots of people here using the software. Just a shot in the dark. @wgstarks fix the display resolution in the MKV header and set it to 1920x1080 (or whatever the dimension of 1 single frame is in case it's cropped).